Angle of inclination: 53° 7' 48"
Userkaf was the founder of the 5th Dynasty. He had been a priest of Ra the sun-god at Heliopolis. He, and his successors throughout the 5th Dynasty, worshiped Ra, rather than Horus, as their ancestor. The title "son of the sun" began to be written before their personal name. 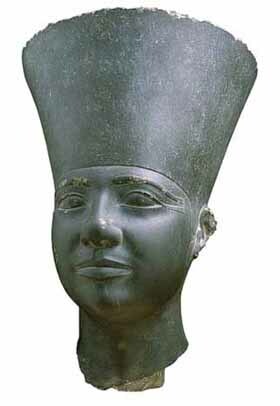 Another name, joined with Ra, followed the title "king of upper and lower Egypt". He ruled Ancient Egypt from 2465 BC until 2458 BC. His wife, Queen Khentkaues, was of royal blood. Historians say that Userkaf married her to align himself with the royal line. Unfortunately, his reign is not well documented, but he built a marvelous pyramid at Saqqara. His architecture and decoration demonstrates the artistic glory of the era. The pyramid was designed to act as a chapel for offerings and a as a mortuary temple for the king. The temple court has square granite columns in all the corners and some beautiful reliefs on the walls. Two of the temple's busts were recovered recently. As the pyramid has been used as a reservoir for limestone by stone robbers since antiquity, it is currently run-down. 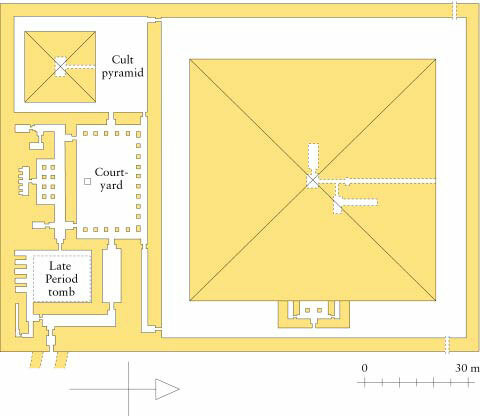 The mortuary temple was located south of the pyramid, unlike other mortuary temples which are mostly situated in the east. 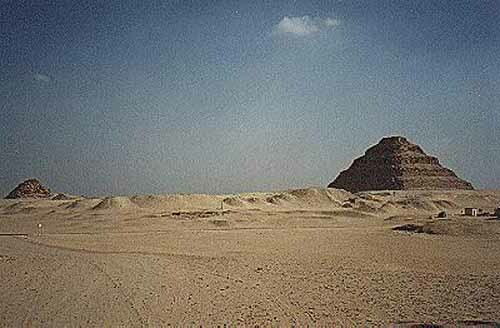 Only few blocks are left of Queen Neferhetpes's pyramid, Userkaf's wife.